Tidbinbilla allows mountain bike riding on some of their trails and all fire trails. It’s a good idea to drop in tho the vistors centre to find out exactly where your allowed to ride. They will give you a free map and explain where you can and can’t go. Remember your sharing these trails with walkers so be careful on the tracks. This place is amazing if your into wild life. 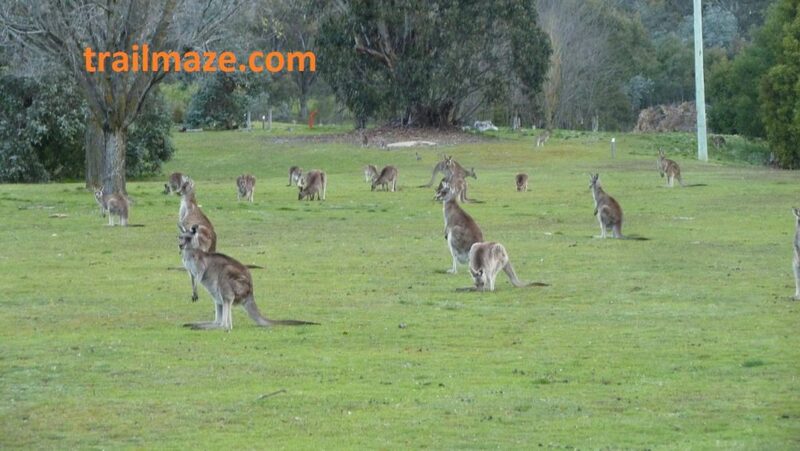 There are wild kangaroo’s all over the place at Tidbinbilla. The trails I was riding on had kangaroos on the track and on the sides. It was a great experience. With the mountain drop in the background you can’t go wrong. Google Maps Link. In google maps type in “Tidbinbilla Nature Reserve”. It’s about 40mins from Canberra. Mountain Bike, MTB, bicycle, track, trail, bush, dirt, ride, ACT, Canberra, Tidbinbilla, mountain bike riding, mountain bike trails.